Official Trailer for WWE ‘SETH ROLLINS: Building The Architect’ DVD – One More Year of The Shield? Last week ended with the full (freakin’!) 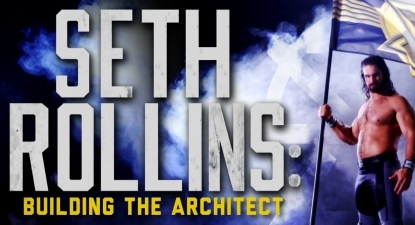 content listing unveiled for WWE’s new “SETH ROLLINS: Building The Architect” DVD — and this one begins with the official trailer. As reported, the first-ever Seth Rollins WWE DVD compilation will feature more than 20 of his best matches and moments, on top of a newly-filmed interview that’s exclusive to Home Video. A sneak peek of the interview with “The Man” is shown in today’s video, including topics the likes of: his FCW tenure, his NXT and WWE Championship runs, his injury and comeback, and candid comments on how long Rollins felt The Shield should have lasted before being “destroyed”. “The Architect” has created the perfect blueprint for success in WWE with multiple championships, a massive fan base, and a plethora of incredible matches under his belt. Now for the first time ever, hear from Seth Rollins himself as he tells his story of how he became a sports-entertainment megastar. Get your copy of the Seth Rollins DVD by clicking here or on the cover shot below. If you’re in the UK, head over to Amazon.co.uk to lock in your pre-order ready for the release this May. Just released to fans in the United Kingdom today is Royal Rumble 2017 on DVD and Blu-ray — grab a copy priced from only £10 here on Amazon.co.uk. Tomorrow, “WrestleMania Monday” will release on DVD to fans across the United States! It will include a previously-unseen, 1 hour “WWE 24” documentary special on the RAW after ‘Mania (not yet added to the WWE Network) and more than 6 hours of matches and moments. Unfortunately our sources still indicate that there won’t be a Blu-ray along with it. Although several product listings still exist for it, Amazon Canada have now labelled theirs as “out of stock” — but a Blu-ray edition will definitely hit the UK when the release lands there 2 weeks today! – USA: TOMORROW! Get your Mania Monday DVD right now here on Amazon.com. – UK/Europe: April 3rd. Pre-order Mania Monday on DVD (or Blu-ray) over at Amazon.co.uk. Next up will be “DDP: Positively Living”, which can finally now be ordered here on Amazon.com, however not by Amazon themselves as there’s still some sort of error or hold-up! Diamond Dallas Page will be joined by “Best of 2000s”, a 4-disc DVD set, and “Double Feature: Elimination Chamber & Fastlane 2017”, a 2-disc DVD set, as WWE Home Video offerings in April. 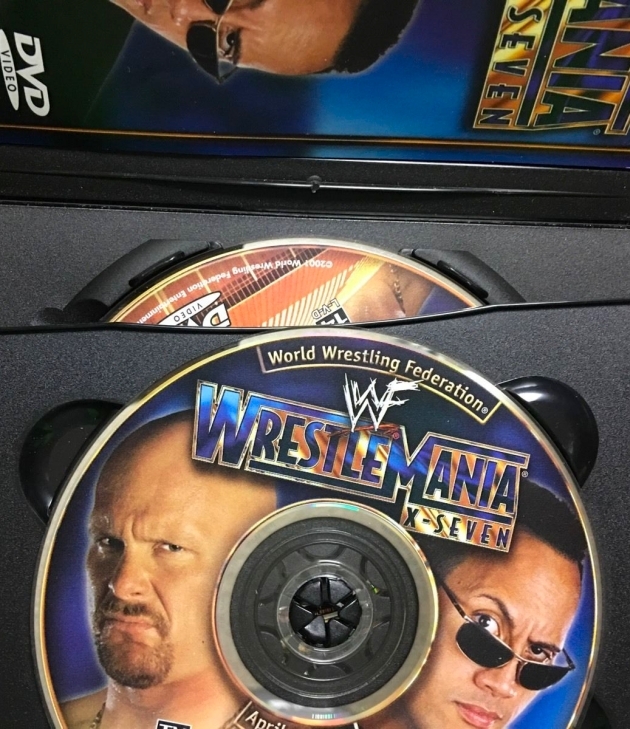 ‘Tis the (WrestleMania) season to get bidding on one of the most sought-after WWE DVDs out there — WrestleMania X-Seven! Last August we got Attitude era unreleased. How about this August we get 1986-95 unreleased? I can only hope. I also hope whatever they do release beyond July is more classic though I wouldn’t mind NXT volume 2. So far this has been a lackluster year for home video releases. It could be the last year they release stuff on dvd/blu ray. Why would this be the last year for DVD and blu Ray releases what are you talking about?? I can’t believe it’s almost April and we still don’t even know what is out for August. We have to be close, right? More than likely a Rick Rude set, since he is going into the Hall of Fame this year. Also Bret Hart Dungeon Collection Volume 2 could be in the works. I won’t be sucking anything.